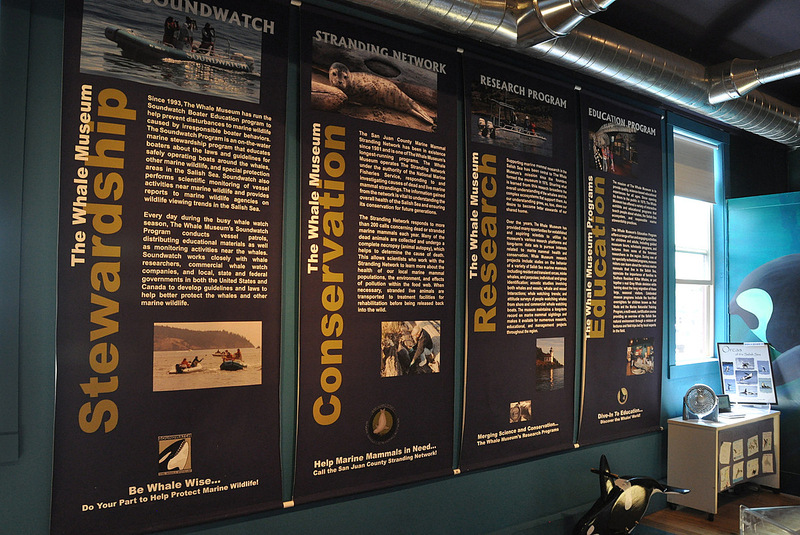 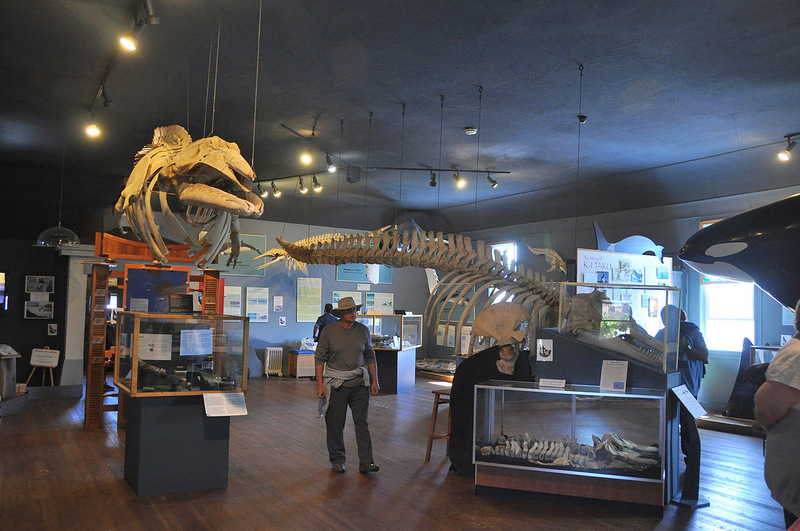 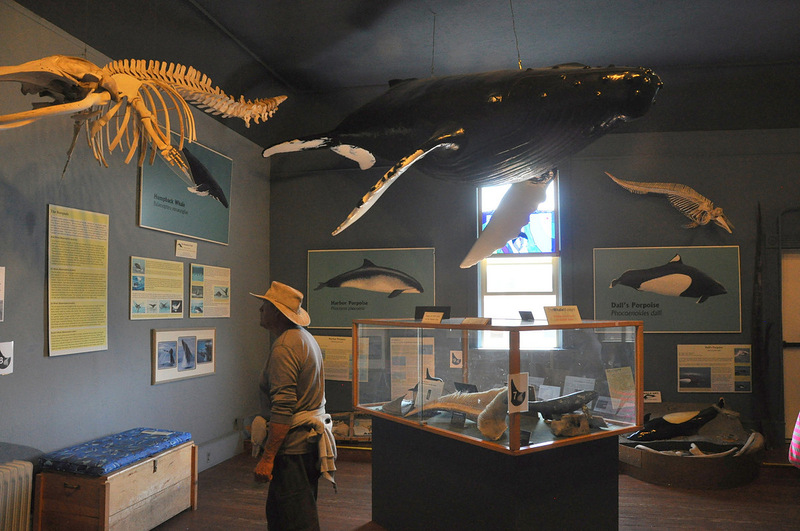 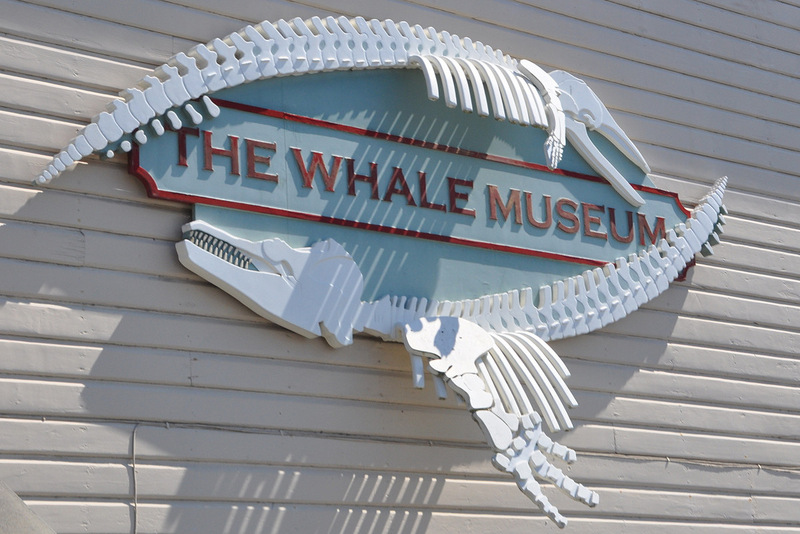 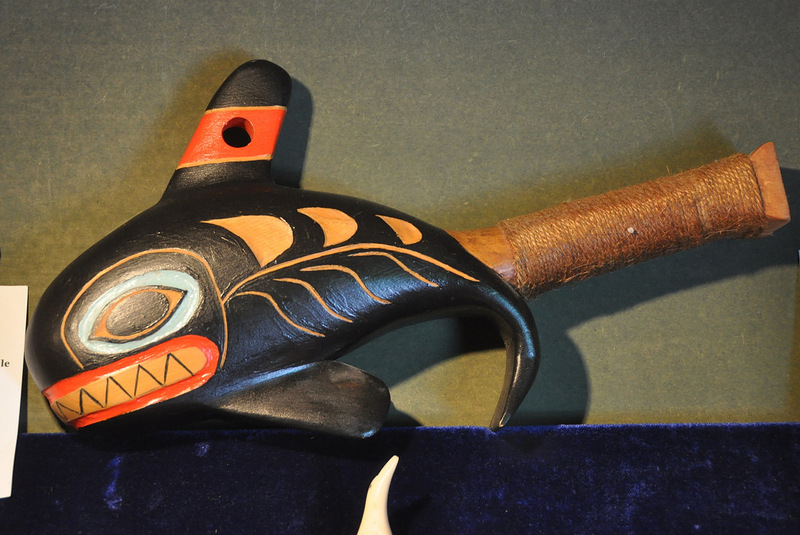 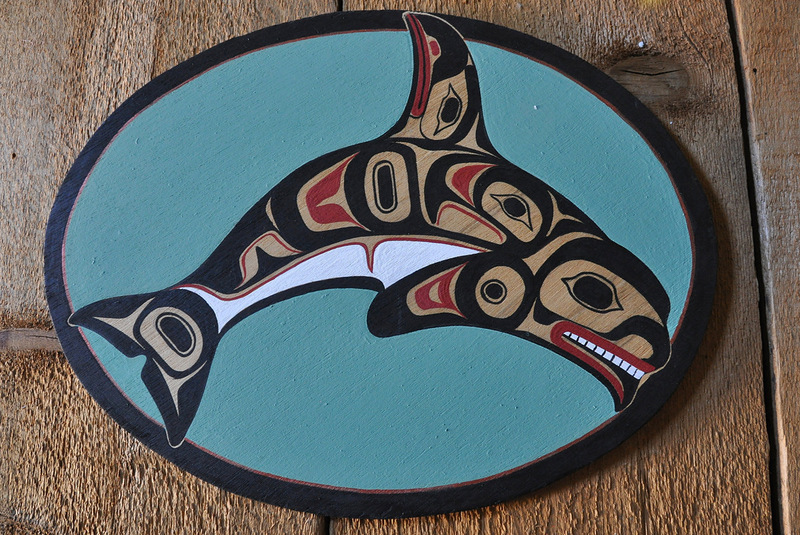 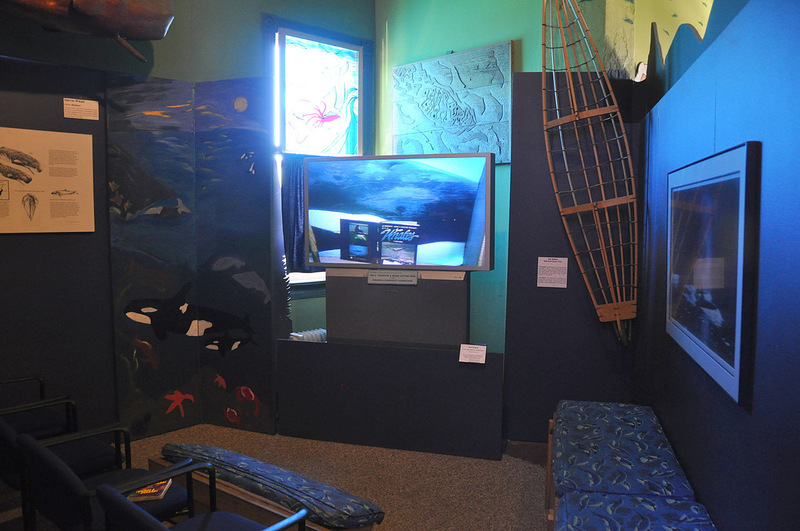 The Whale Museum can be found in Friday Harbor on San Juan Island (United States). 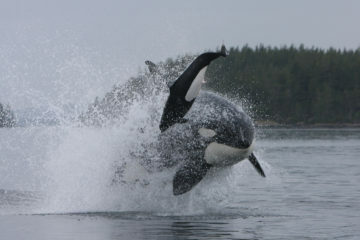 This island is a popular destination for tourist to go whale watching. 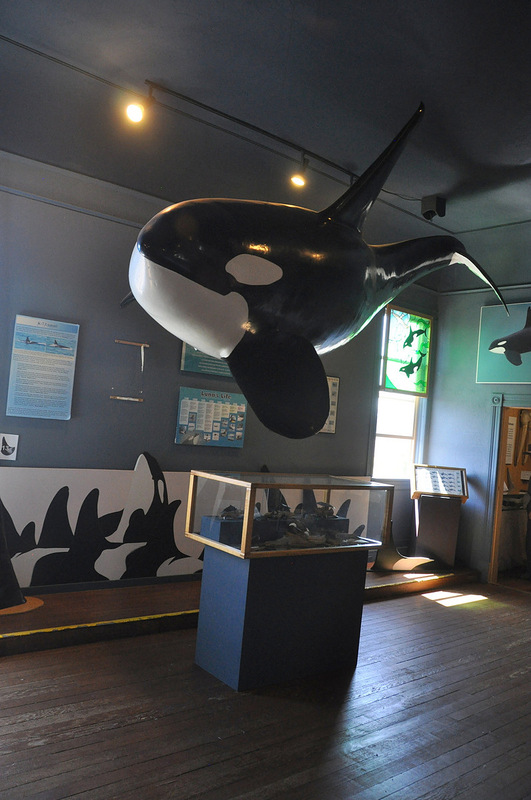 Since 1979, the museum offers the possibility for these tourists and other interested people to learn more about cetaceans and orcas in particular. 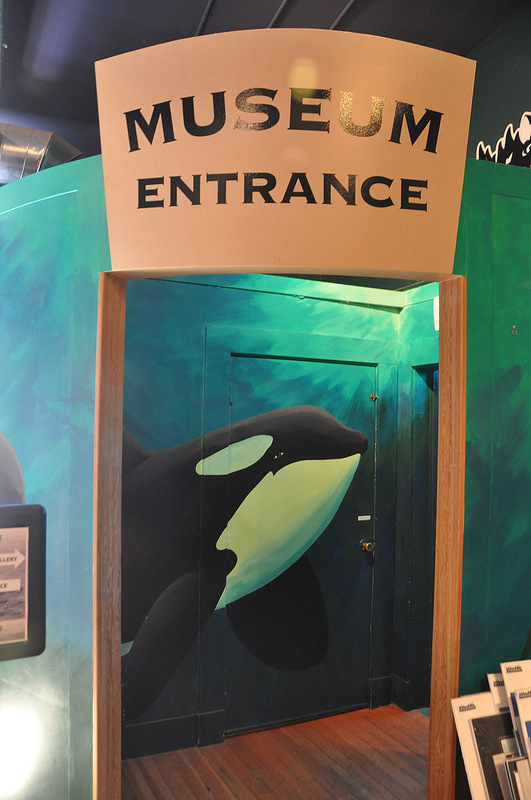 After you buy a ticket, a stair with orca paintings on the wall will lead you upstairs. 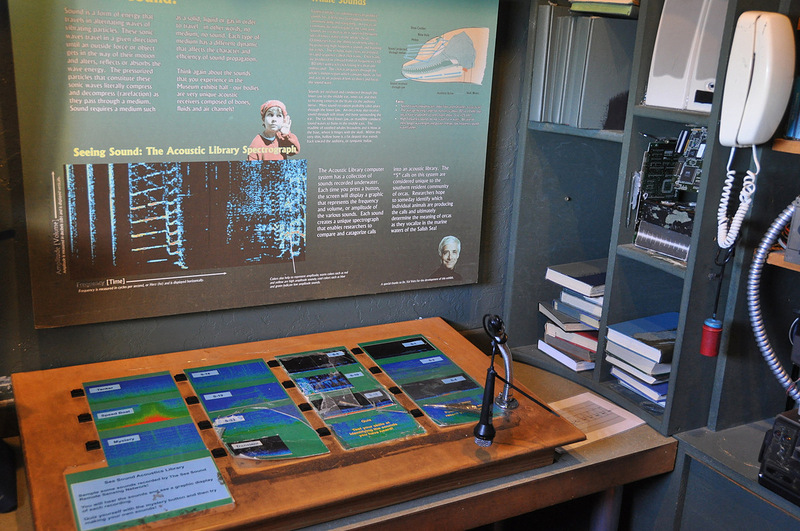 A lot can be seen on this floor, from old stories with matching illustrations to information about current research. 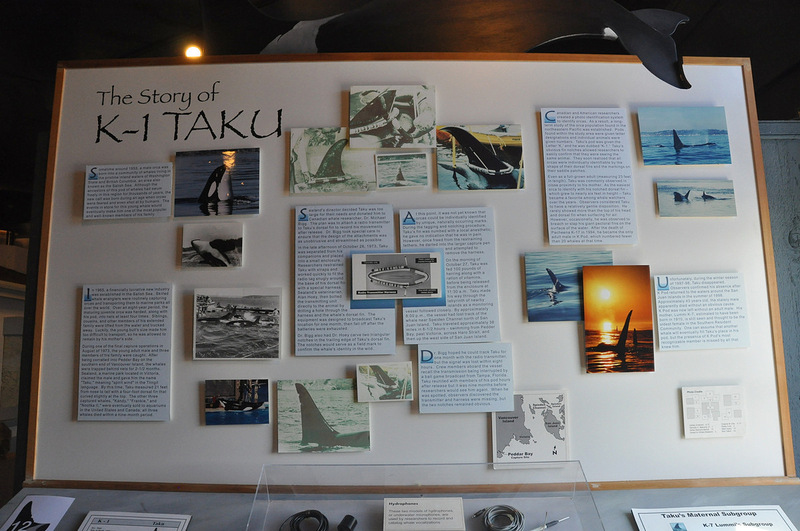 There is information presented on the wall, for example about the life of Luna (L98), the story of Taku (K1) and a family tree of the Southern Residents. 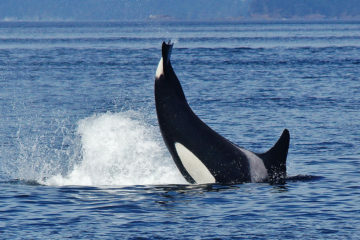 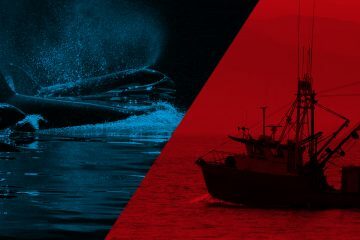 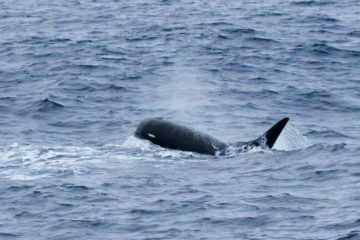 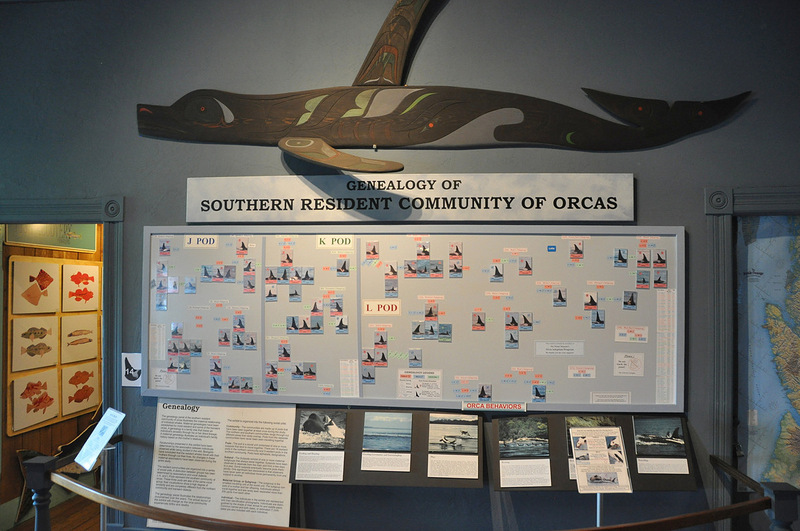 There is also information about other cetaceans, about the threats that the Southern Resident orcas are facing and information about what visitors can do to help them. 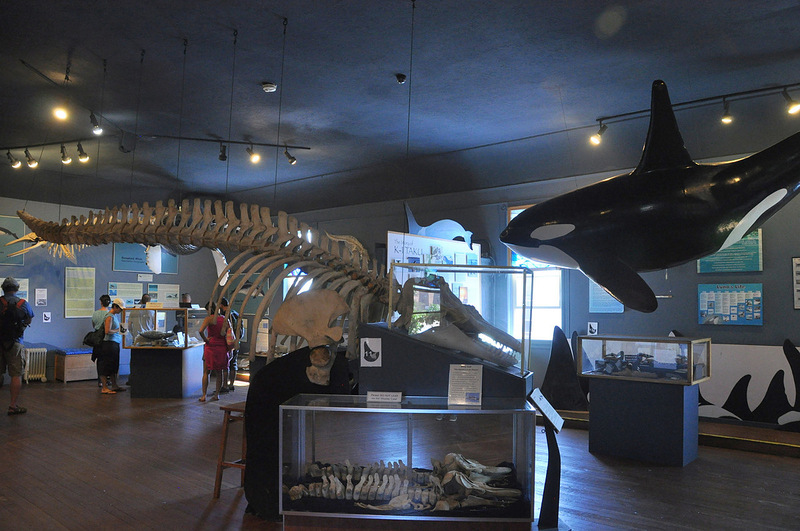 Two orca skeletons are presented in the middle of this floor. 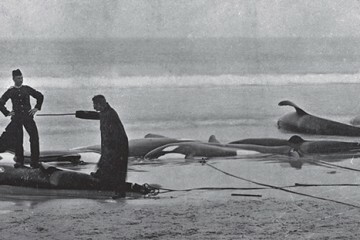 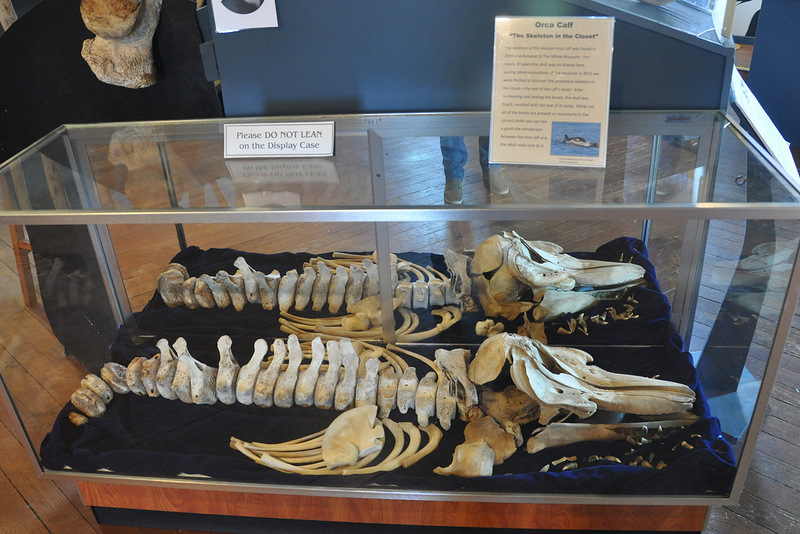 One of them is the skeleton of L8, a large resident male that washed ashore dead in 1977. 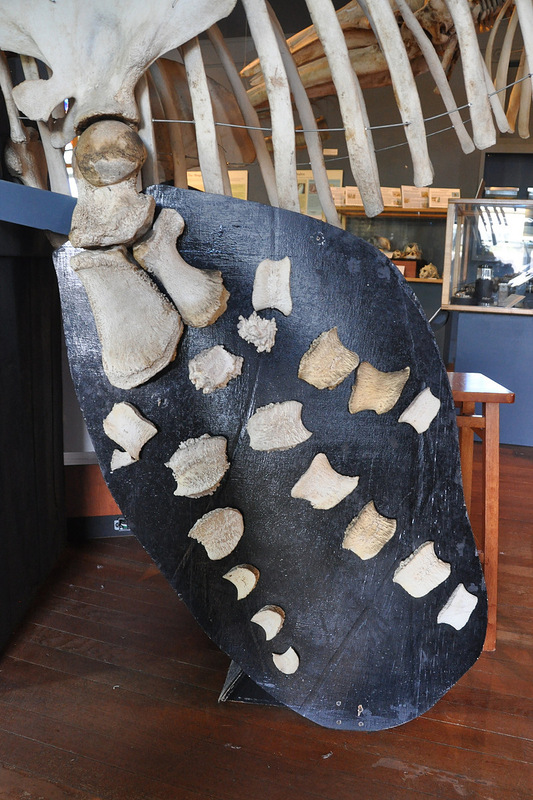 The bones of his left pectoral fin are mounted on a black plate in the shape of the fin. 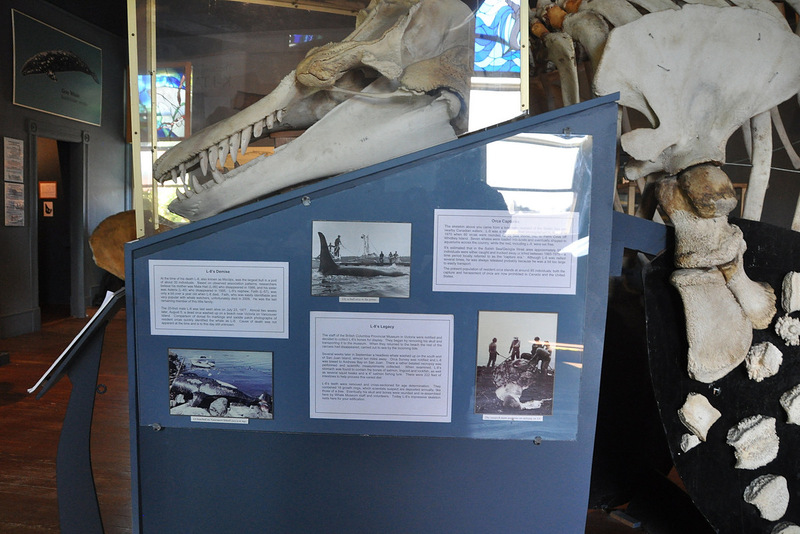 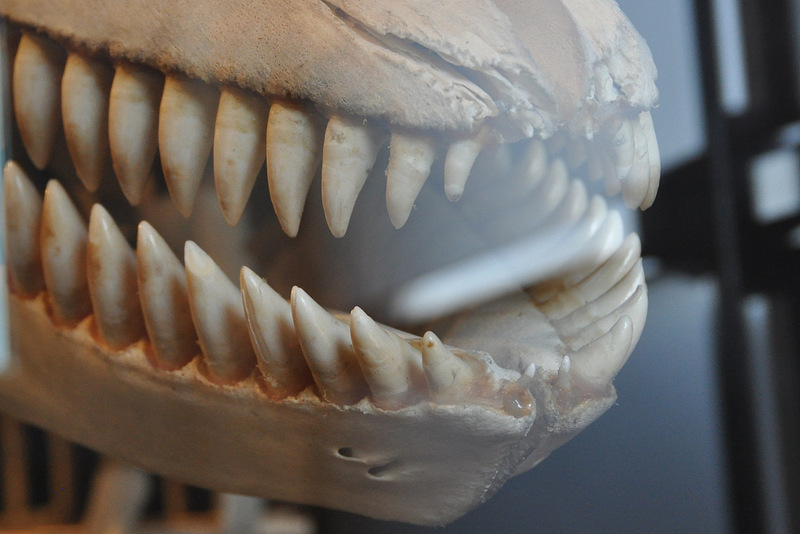 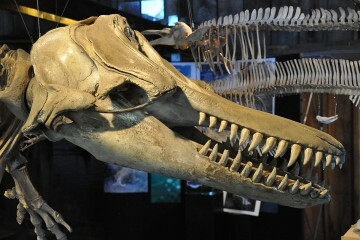 Next to his skeleton, in a glass display case, the skeleton of an orca calf from Alaska can be seen. 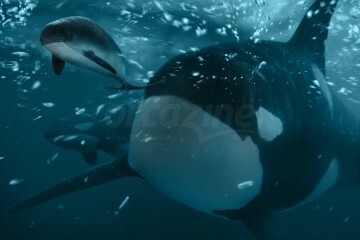 This clearly shows the size difference between calf and adult male. 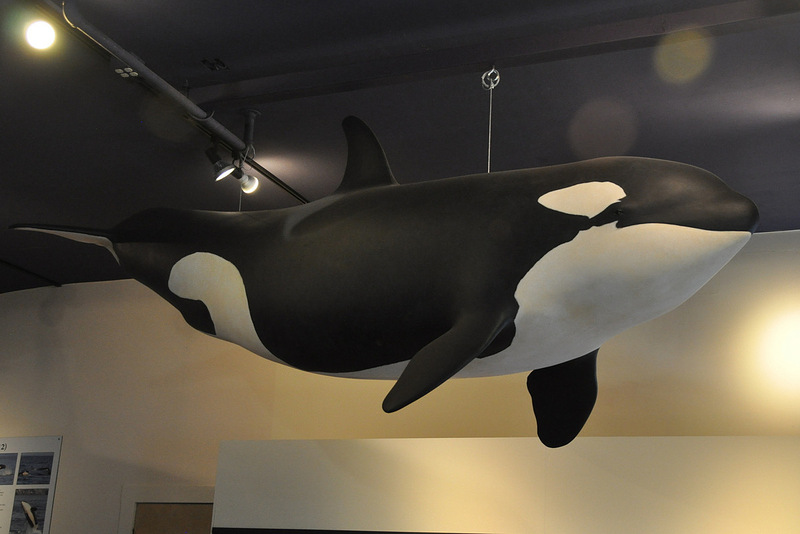 Beside the skeletons of the orcas and some other cetaceans, large replicas of an orca and a humpback whale are hanging from the ceiling. 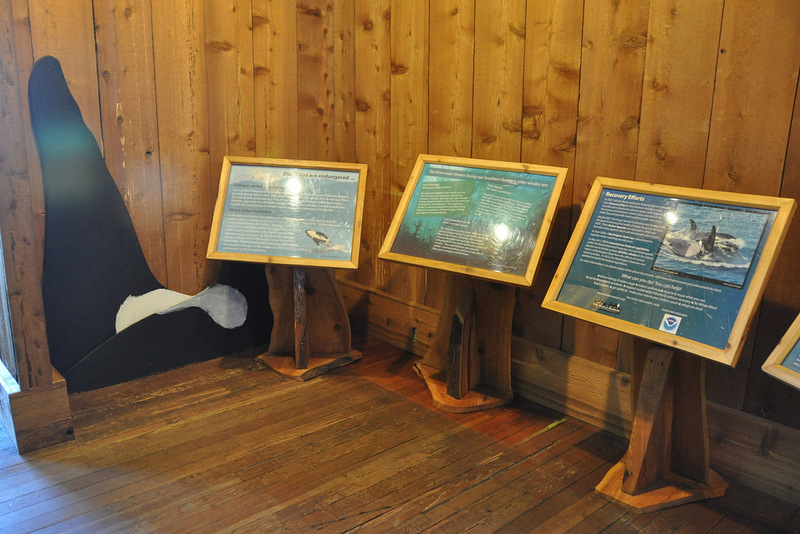 A newer exhibition can be seen downstairs. 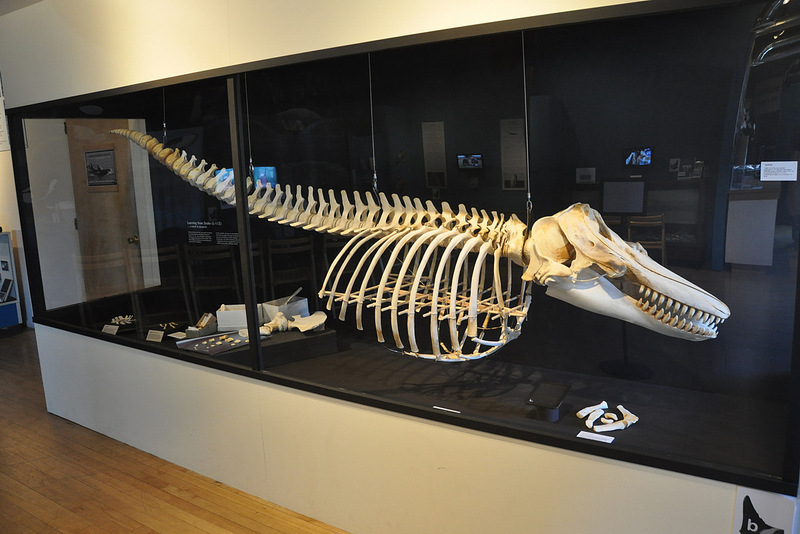 Here, the skeleton of Sooke (L112) can be viewed in a glass display case. 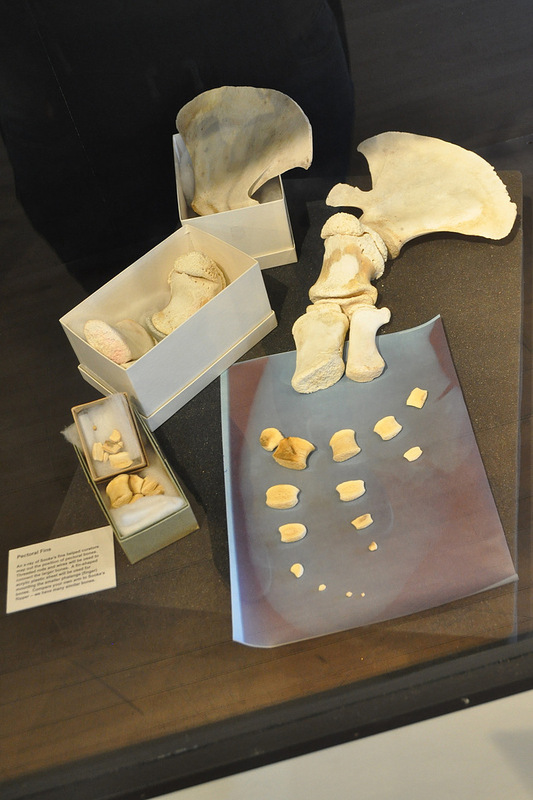 The work to re-assemble her skeleton is not completely finished during this visit. 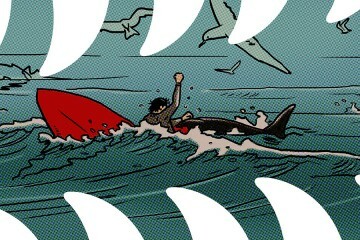 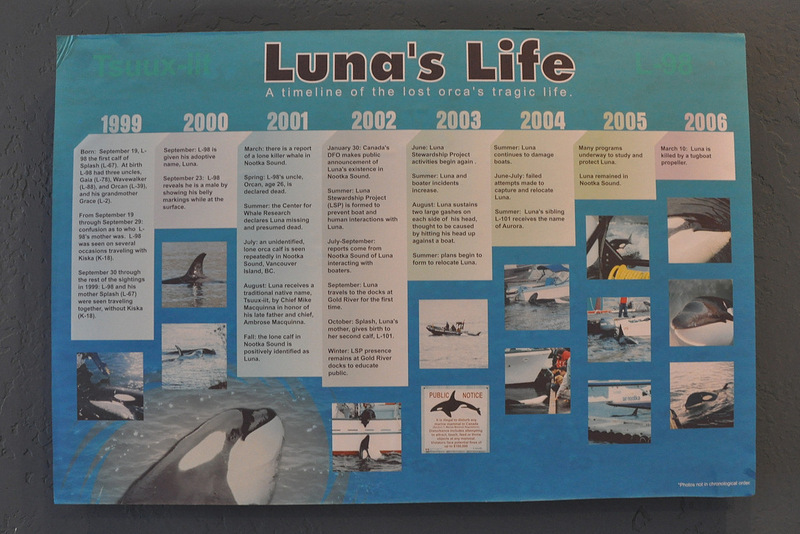 The story of this young orca can be found next to the display case. 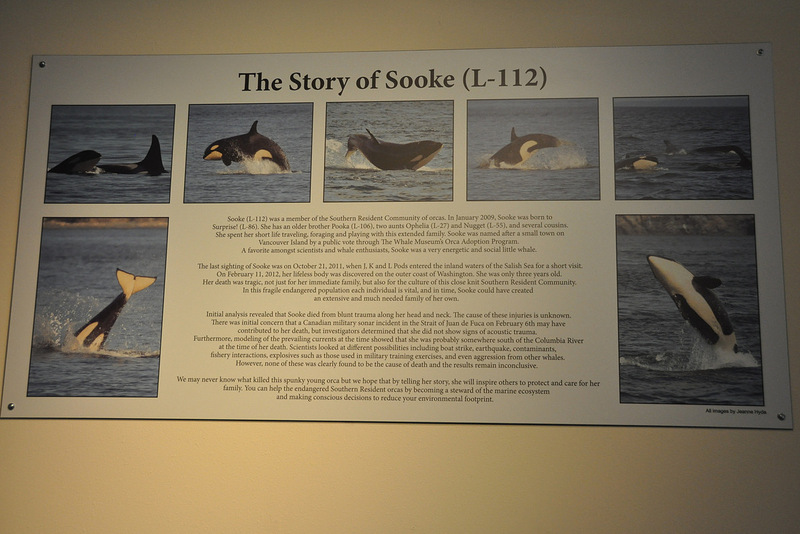 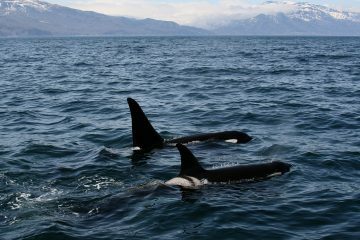 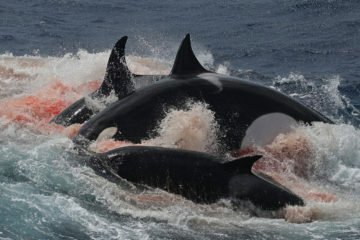 Sooke was born in 2009, but sadly her lifeless body was found on the coast of Washington in February 2012. 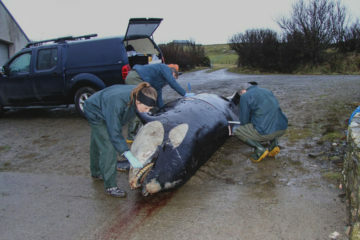 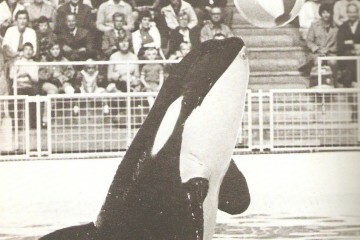 Sooke died of trauma on her head and neck, but the cause of this trauma could not be determined. 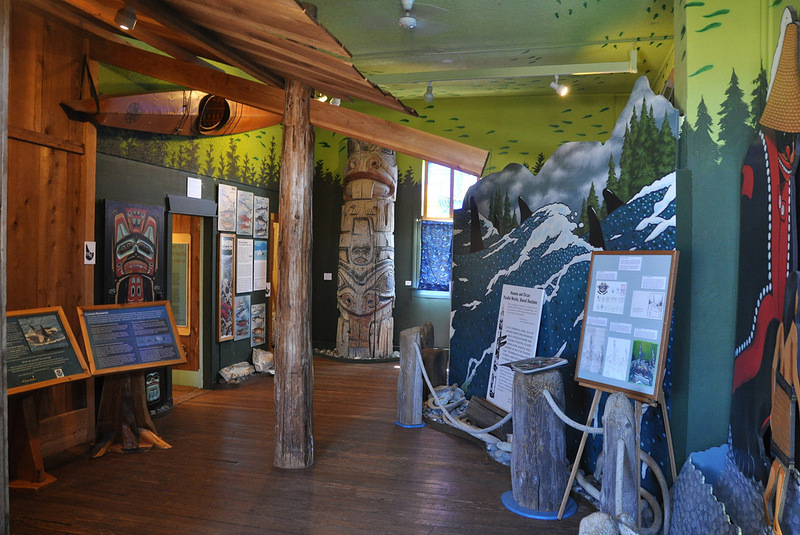 A life size replica of Sooke is also on display in this exhibition. 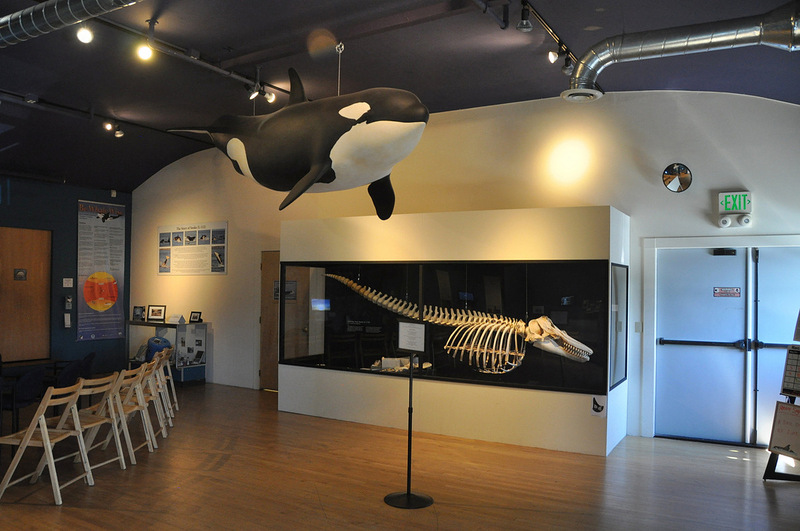 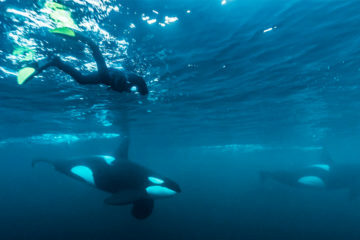 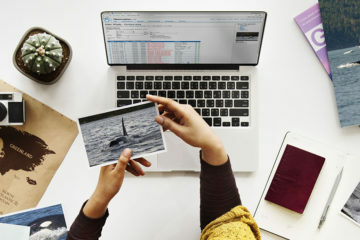 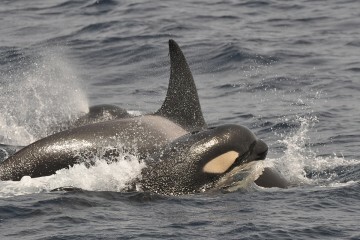 The museum offers attention to the possibility to adopt an orca, which helps to finance the exhibitions in the museum, the educational programs and the research. 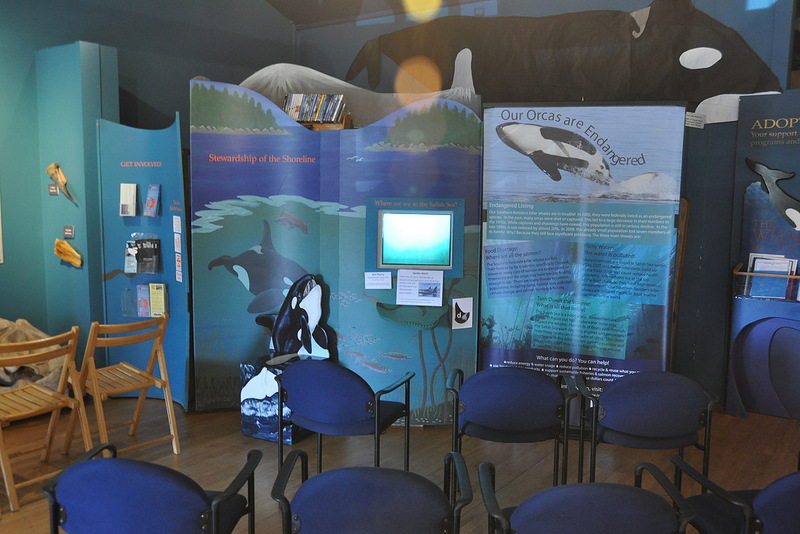 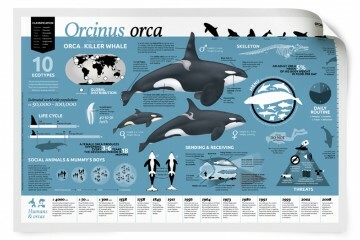 More information about the adoption of an orca can be found on the website of the museum. 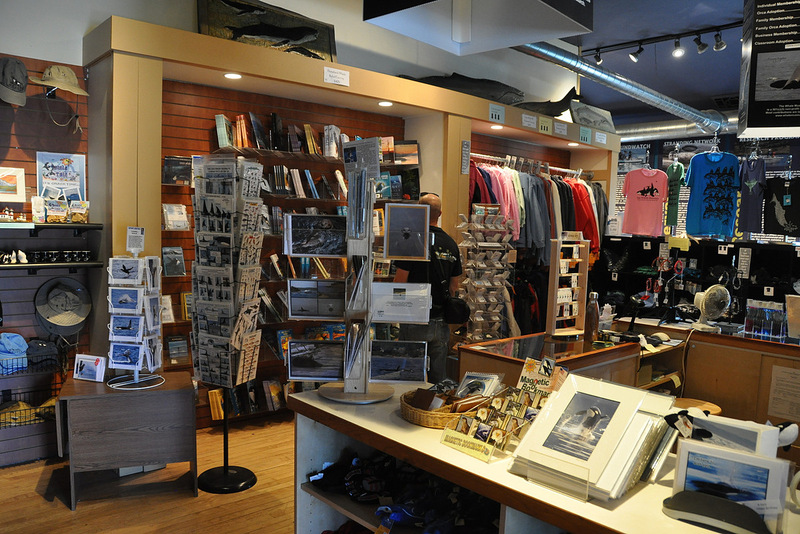 After you have viewed the museum, you can visit the shop. 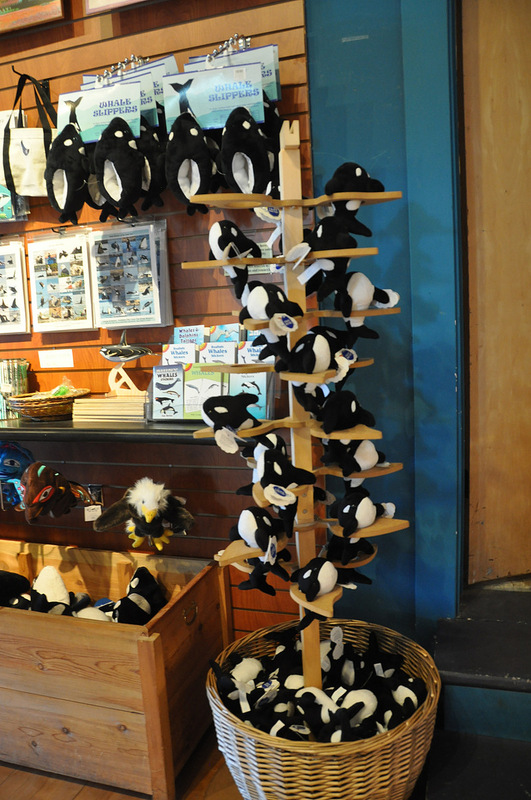 Here you can find packages for adoption, but also a lot of books, stuffed toys, clothes and much more about orcas and other animals.